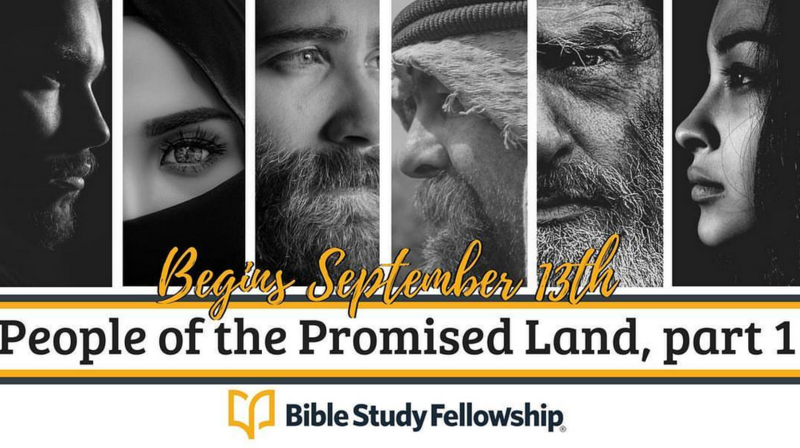 This fall, Bible Study Fellowship (BSF) will launch a new study, People of the Promised Land. As a foundational mindset kick-start to the study, eBook A Faithful Legacy, co-authored by Stephen R. Graves and Susan C. Rowan, was sent to Bible Study Fellowship class members and leadership in July 2018. Susie Rowan (BSF executive director) writes in the introduction that she and her friend Steve Graves created this eBook “to help us all prepare and begin to apply the timeless truths we will unpack throughout this upcoming study.” The following pages seek to examine, chapter by chapter, the content of A Faithful Legacy against the truths of Scripture. I joined BSF in 1996. 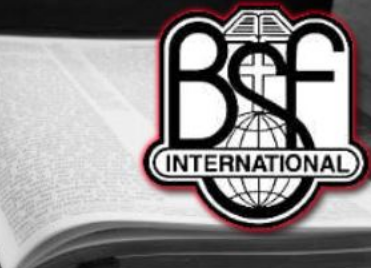 At that time, I was in my late 20s with superficial Bible knowledge at best, BSF served as the tool which God has used to teach me the Scriptures, and more importantly to grow my relationship with Him. I thought I would grow old and die in BSF. When it came to matters of BSF, I was ALL-in, as I committed wholeheartedly to learning, growing, serving. BSF has also been a mainstay in my role as mother, with my children participating from the time they were two until they graduated from the senior level in the school program. In addition, I have served for ten years as a discussion/group leader and two years as a children’s leader. There has been no one more loyal to this ministry. 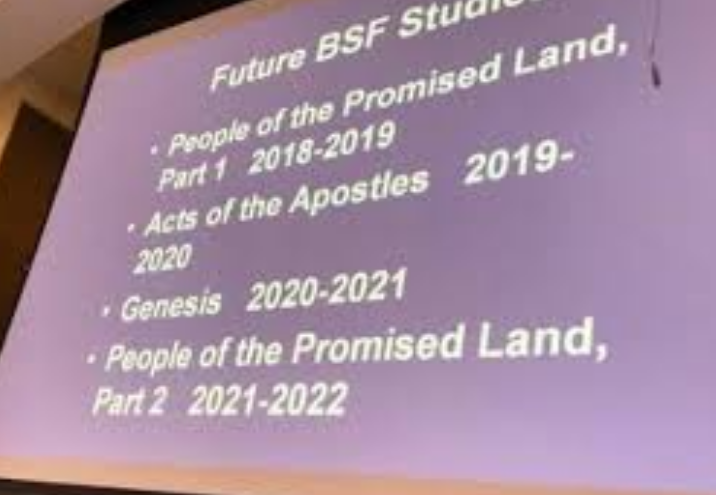 I am deeply grateful to the Lord for the past 2+ decades of Bible training from BSF. Without this equipping in the Scriptures, accomplished through this “training center” (as they once called themselves), I would not have so readily detected the error in this eBook, nor would I have known how to contend for the faith in this review. Steve Graves kicks off the eBook with a chapter devoted to the significance of man, a theme prevalent throughout the eBook and typified by the chapter title, “A Leader Worth Following.” The title would be fine, if it was referring to the Lord. Unfortunately, on page 4, it is a man he wants to magnify when he refers to the Apostle Paul as a “super-leader.” Would Paul agree? 1 Timothy 1:15-17 — It is a trustworthy statement, deserving full acceptance, that Christ Jesus came into the world to save sinners, among whom I am foremost of all. Yet for this reason I found mercy, so that in me as the foremost, Jesus Christ might demonstrate His perfect patience as an example for those who would believe in Him for eternal life. Now to the King eternal, immortal, invisible, the only God, be honor and glory forever and ever. Amen. 1 Corinthians 15:9-10 — For I am the least of the apostles, and not fit to be called an apostle, because I persecuted the church of God. But by the grace of God I am what I am, and His grace toward me did not prove vain; but I labored even more than all of them, yet not I, but the grace of God with me. To further his man-centric agenda, Graves proceeds to exercise distortion of the teaching in 1 Corinthians 3:4-9. This passage is clearly teaching that Paul identifies as a mere servant, through whom God did His work (i.e., causing growth). The one who plants/water is nothing. It is all about God! Graves insists, however, that this passage is really teaching about the traits of great leadership (p. 5). To support his premise, Graves quotes Mark Sanborn, author of several books on how to achieve success and remarkable performance in business and life and New York Times Jewish columnist David Brooks. These secular writers’ views on what constitutes a great leader are irrelevant to the proper interpretation of the Scriptures. Paul is not calling himself a “super-leader.” He describes himself as a servant, God’s fellow worker. It is the Lord, not Paul who is the “super-leader” in this passage. In his second point (p. 6), Graves says, “Great leaders have a healthy sense of selflessness and humility.” While his statement is true, Paul’s selflessness and humility do not make him a great leader; they make him an obedient follower. Jesus is the great Leader. It is His example to which His disciples are to aspire and follow. Philippians 2:5-7 — Have this attitude in yourselves which was also in Christ Jesus, who, although He existed in the form of God, did not regard equality with God a thing to be grasped, but emptied Himself, taking the form of a bond-servant. On page 6, after plugging his “executive coaching business” (for which he charges $6,000 + travel at https://stephenrgraves.com/coaching/), Graves again uses secular business examples to make his biblical point, citing the many “successful” transfers of leadership within the Wal-Mart retail company. Principles of business leadership do not teach or validate the truths of God’s Word. Isaiah 55:8-9 — “For My thoughts are not your thoughts, Nor are your ways My ways,” declares the Lord. “For as the heavens are higher than the earth, So are My ways higher than your ways and My thoughts than your thoughts. For his fourth and final point in his man-centric interpretation of 1 Corinthians 3:4-9, Graves quotes problematic teacher Rick Warren (see note at end). In the chapter conclusion, Graves summarizes his teaching on great leadership, namely that a great leader has an “outward” focus. While there is a head nod to God in the list of appropriate “outward” focal points, the emphasis continues to be on “great leaders” and their emphasis on other men, not God. Unlike Paul whose main point in 1 Corinthians 3 is to correct the church’s man-centric focus, Graves’ agenda in this entire chapter is to elevate the importance of people. Both in his exegesis of the biblical text and in his supporting examples from the secular business world and questionable teacher Warren, Graves fails to promote God’s glory as our reason for existence. John 15:5 — I am the vine, you are the branches; he who abides in Me and I in him, he bears much fruit, for apart from Me you can do nothing. Steve Graves once again misses the point of the Scripture he uses to make his man-centric point. The context of verses in Scripture is essential to discern their accurate meaning. An organization whose name includes the words “Bible Study” knows this. To strip verses of their context to make them support your own agenda is distortion of its intended meaning and therefore false teaching. Genesis 2:15 — Then the Lord God took the man and put him into the garden of Eden to cultivate it [i.e., the garden of Eden] and keep it. Genesis 2:15 says nothing about culture. It is a mandate to Adam to cultivate (i.e., work) and keep (i.e., watch over and care for) the Garden. In Genesis 3:23, Adam and Eve are driven out of the Garden. The command to cultivate and keep it are, after this point, actually forbidden, as the Lord stationed a cherubim with a flaming sword to prevent them from returning to Eden. Verse 23 revises the command to say that the man was sent from the Garden to “cultivate the ground from which he was taken.” This is a biblical mandate for Adam to work literal soil, as he was taken from literal ground. As the original man, he did not come from a culture, so no amount of spiritualizing will get this text to teach Rowan’s point. In the section on meditation, Rowan quotes Timothy Keller, author of Prayer: Experiencing Awe and Intimacy with God and founding pastor of Redeemer Presbyterian Church, which currently promotes mysticism, contemplative prayer, and lectio divina under the prayer tab on their website. Keller himself is quoted as saying, “The best things that have been written, almost, are by Catholics during the counter Reformation: Ignatius of Loyola, St. Francis de Sales, John of the Cross, St. Theresa of Ávila…..great stuff.” [St. Ignatius of Loyola opposed the Reformation; St. John of the Cross proponent of the Counter-Reformation movement; and St. Theresa of Avila was a nun who describes her mystical ecstatic prayer experiences and offers a seven-step method by which to ascend to divine union.] Keller and others quoted in this eBook are associated with the Spiritual Formation / Contemplative Prayer / Emergent Church movement, revealing alliances that BSF is forming. In summarizing four ways Christians respond to culture, this chapter outlines its points based on a book by Richard Niebuhr. As supporting evidence for the outline’s validity, Graves and Rowan quote more books by Andy Crouch, Russell Moore, Tim Keller, and Chuck Colson. Conspicuously missing is support from the Bible. There are zero quotes from Scripture. Zero. In this short e-book of less than 40 pages, the word community is used in some form 23 separate times. The word “Body” in reference to the church is used zero. Zero. The entirety of chapter 5 is devoted to this non-biblical concept, dubbing a new term “gospel community.” Rowan writes on page 23 that God calls us to live in community, citing mystic Donald Miller and fiction writers (Lord of the Rings and Star Wars) rather than Scripture to support her claim. Again she twists Scripture to say that God created “community” in Genesis 2:18 — Then the Lord God said, “It is not good for the man to be alone; I will make him a helper suitable for him.” The provided context in verse 24 instructs us that Genesis 2:18 was God’s basis for creating marriage, not the trendy “community” concept being pushed in every corner of both secular arenas and mainstream Christianity. In her push to extol the virtues of “community,” Rowan proceeds to cite examples of Old Testament leaders who “most typically worked in community with other believers to do the will of God and accomplish some mighty works” (p. 24). In this sentence, she gives credit to the togetherness of people in accomplishing God’s will. The people get the glory; God does not. According to Rowan, it is the “power of community” that accomplishes mighty works, not dependence upon the Lord, nor the strength of His might (cf. Ephesians 6:10). While I do not debate the value of relationships with others, as Psalm 133 relays its goodness, the modern buzz word “community” is troublesome because it is a concept taught by the world, not the Scriptures. The Lord makes very clear in the New Testament what He wants His people called in the context of one another and Himself. We are not a community, we are His Body. Believers are the Body of Christ, with the Lord Jesus as our Head. Only the Body has a Head, with the individual parts literally dependent upon one another. Though “community” celebrates togetherness, individuality is the emphasis (like the secular philosophy of multiculturalism). With community, the required unity and inter-dependence of parts are minimized or ignored. Above all, the subtlety that seems to be missed is how “community” completely neglects the need and purpose for the Head. Community is about the people, the benefit of their togetherness, and their strength in joining forces. This “community” concept reminds me a lot of Babel. “Community” cheapens the beauty and purpose that “Body” captures. How can a ministry who has “Bible Study” in its name substitute a secular word for a biblically-mandated truth? In 1 Corinthians 12:12-27, just sixteen verses, Paul uses the word “Body” 18 times. 1 Corinthians 12:12-17 — For even as the Body is one and yet has many members, and all the members of the Body, though they are many, are one Body, so also is Christ. For by one Spirit we were all baptized into one Body, whether Jews or Greeks, whether slaves or free, and we were all made to drink of one Spirit. For the Body is not one member, but many. If the foot says, “Because I am not a hand, I am not a part of the Body,” it is not for this reason any the less a part of the Body. And if the ear says, “Because I am not an eye, I am not a part of the Body,” it is not for this reason any the less a part of the Body. If the whole Body were an eye, where would the hearing be? If the whole were hearing, where would the sense of smell be? 1 Corinthians 12:19-24a —If they were all one member, where would the Body be? But now there are many members, but one Body. And the eye cannot say to the hand, “I have no need of you”; or again the head to the feet, “I have no need of you.” On the contrary, it is much truer that the members of the Body which seem to be weaker are necessary; and those members of the Body which we deem less honorable, on these we bestow more abundant honor, and our less presentable members become much more presentable, whereas our more presentable members have no need of it. But God has so composed the Body, giving more abundant honor to that member which lacked, so that there may be no division in the Body, but that the members may have the same care for one another. And if one member suffers, all the members suffer with it; if one member is honored, all the members rejoice with it. 1 Corinthians 12:18 —But now God has placed the members, each one of them, in the Body, just as He desired. 1 Corinthians 12:24b —But God has so composed the Body…. 1 Corinthians 12:27-28a —Now you are Christ’s Body, and individually members of it. And God has appointed in the church…. Colossians 1:15-18 —He is the image of the invisible God, the firstborn of all creation. For by Him all things were created, both in the heavens and on earth, visible and invisible, whether thrones or dominions or rulers or authorities—all things have been created through Him and for Him. He is before all things, and in Him all things hold together. He is also head of the Body, the church; and He is the beginning, the firstborn from the dead, so that He Himself will come to have first place in everything. While Colossians teaches the preeminence of Christ—all things through Him and for Him, Rowan concludes her chapter on this non-biblical concept by exhorting readers to “start by building a rich gospel community.” “From there,” she teaches, “the Holy Spirit is free to work in wonderful ways.” The Holy Spirit is not dependent upon people’s actions; He is always working in wonderful ways. 2 Corinthians 6:14-17 — Do not be bound together with unbelievers; for what partnership have righteousness and lawlessness, or what fellowship has light with darkness? Or what harmony has Christ with Belial, or what has a believer in common with an unbeliever? Or what agreement has the temple of God with idols? For we are the temple of the living God; just as God said, “I will dwell in them and walk among them; And I will be their God, and they shall be MY people. “Therefore, come out from their midst and be separate,” says the Lord. “And do not touch what is unclean; And I will welcome you. To support her claim, Rowan goes on to quote Bart Ehrman (p. 28), a “New Testament scholar” who on his own blog renounces Christianity and is most famous for his published criticisms of the New Testament’s reliability, including best-seller Misquoting Jesus: The Story Behind Who Changed the Bible and Why. It is not surprising that such a man would be critical and call “antisocial, sacrilegious, and dangerous” first century Christians who adhered to the biblical principle that “bad company corrupts good morals” (1 Corinthians 15:33). So much for spiritualizing the command to “subdue” the earth in Genesis 1:28, unless Christians are to enslave, overcome, and crush the culture. Again, how can an organization who has “Bible Study” in its name spiritualize a literal command and use English instead of Hebrew to define it? With similar mishandling of Scripture, she makes man the focus of Psalm 8 (p. 30-31), even though David opens and closes the text with “O Lord, our Lord, How majestic is Your name in all the earth!” In short, Rowan’s concept of “gospel engagement” twists the truths of Scripture to fuel a man-centric worldview. Steve Graves’ concluding chapter continues to employ a secular business mindset to interpret the teachings of the Bible, referring to God’s people as “Judah, Inc. “ With this worldly frame of reference, Graves asserts that “we are all building a legacy of some kind” (p. 33). Graves concludes A Faithful Legacy with this man-centric statement: “If we live well now, we’ll leave behind something worth remembering.” Where does Scripture exhort God’s redeemed people, those bought and owned by Him, to desire a legacy, to seek being remembered? His glory alone is to be our ambition. Psalm 115:1 — Not to us, O Lord, not to us, But to Your name give glory…. Isaiah 48:11 — For My own sake, for My own sake, I will act; For how can My name be profaned? And My glory I will not give to another. Since the publication of this book, Warren’s ongoing heretical words, actions, and alliances are too numerous to include for the scope of this review. In short, Rick Warren is one of the most dangerous false teachers in America. Why is he being quoted in the BSF publication? Should we read, “Girl, Wash Your Face”?